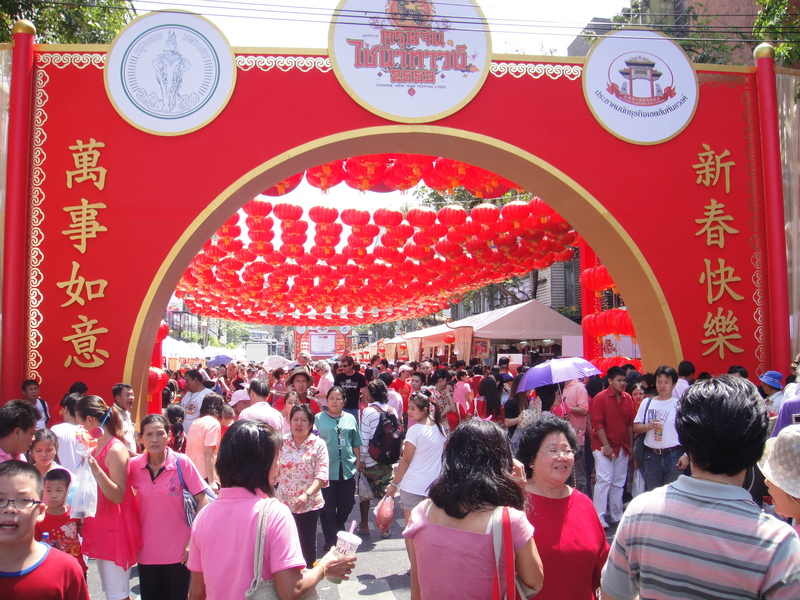 The Chinese New Year is a very large celebration in Bangkok- over 10% of the population in Bangkok is Chinese, there are over 6,000,000 Chinese living in Thailand- the second largest population of Chinese living outside of China. 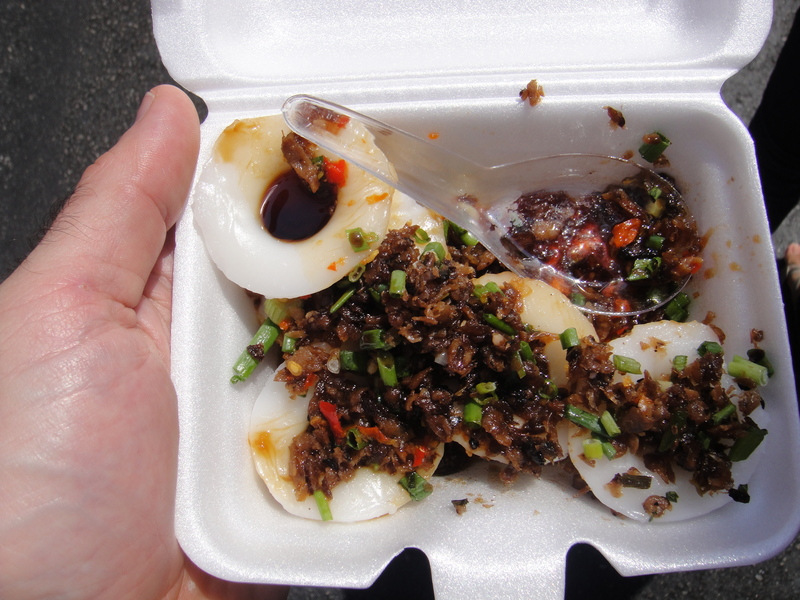 The Chinese have been in Thailand for many years, a vast number of Thais in Bangkok are of Chinese heritage. An interesting change for 2010- many people are wearing pink colored shirts instead of the traditional red due to the political situation in Thailand. The UDD (United Front for Democracy against Dictatorships) are the “red shirts” in Thailand, many large protests are scheduled over the next 2 weeks with the UDD hoping to have 1,000,000 red shirt clad protestors on the streets on February 26. To avoid appearing to support a political party- people wore pink shirts, a color of the King. Much more on politics to come. Approximately 12 blocks of Chinatown was closed for the celebration- there were stages, street venders and loads of great food. It was not a party atmosphere, there was no alcohol being served on the streets- more an opportunity to walk around and celebrate the year of the tiger. The King’s daughter was in Chinatown, leading the opening ceremony and visiting many of the vendors. 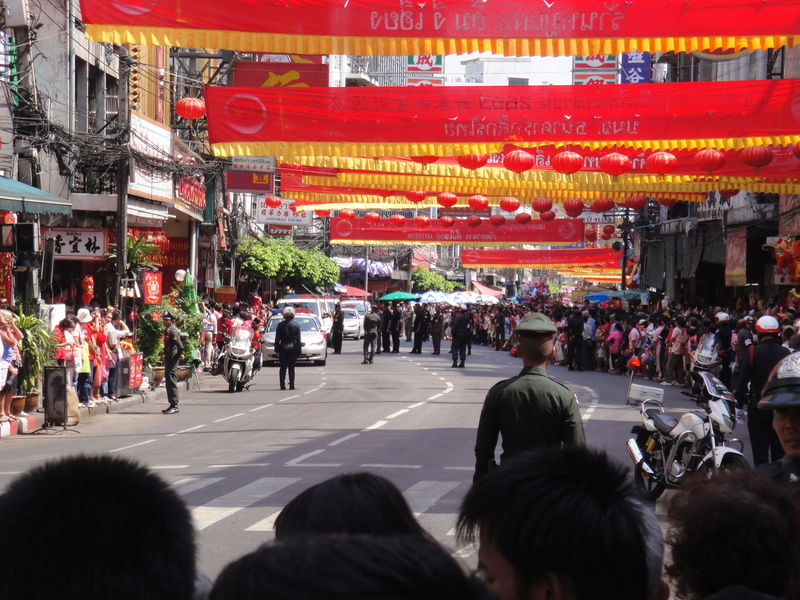 It was fun to see the respect the Thai people paid to her- her motorcade and police detail would bring hundreds of people out to clap as she passed- when she would stop and enter a store or street vendor’s stall, people would gather and wait long periods for her departure, just to catch a glimpse of her. This entry was posted in Bangkok, Culture, Food & Restaurants and tagged Bangkok, Chinese New Year 2010. Bookmark the permalink.